Cpl. George T. Gray, 94, of Burlington City, a retired high school teacher who made history in 1941 when he became one of the first African Americans to join the Marine Corps, died in his sleep Monday, April 8, at a Burlington rehabilitation facility. Cpl. Gray was a member of the Montford Point Marines, the 21,000 black recruits who enlisted after President Franklin D. Roosevelt issued an executive order in June 1941 setting fair employment practices for the Defense Department. Before the order, African Americans were not allowed in the corps, and the other armed forces were segregated. Roosevelt’s order was the first break in the color line for the armed forces. Between 1942 and 1949, the recruits trained in a swampy area of North Carolina called Montford Point, for which the Marines were named. They lived in rickety huts while their white counterparts lodged and trained in relative comfort at nearby Camp Lejeune. Despite efforts from white officers to make their lives difficult, Cpl. Gray and his fellow Marines completed the training and were deployed during World War II to Saipan in the Mariana Islands of the Pacific. Marine units defeated the Japanese forces there in 24 days of fighting during June and July 1944. 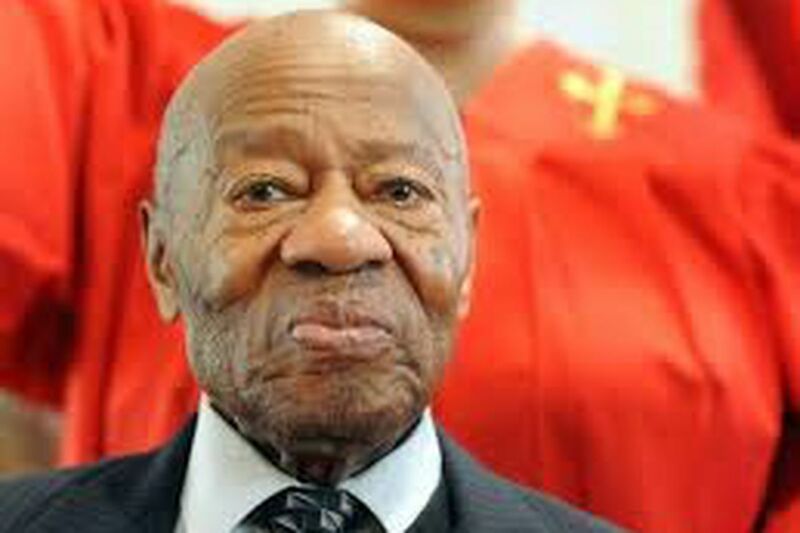 In October 2011, more than six decades after the victory, the U.S. House of Representatives voted to award the Congressional Gold Medal to the Montford Point Marines. Cpl. Gray received his own replica of the Congressional Gold Medal in January 2016. The presentation was made at Cpl. Gray’s church in Bristol Borough as his wife, Joan Olivia Harris Gray, looked on. “We were overjoyed to present the Congressional Gold Medal to him while he was still alive. Cpl. Gray had excellent recall and loved telling stories of his exploits. He could spin a yarn like no other," said Joe Geeter, president of the Philadelphia Chapter, Montford Point Marines, who made the presentation. The Burlington City Council issued a proclamation that month, congratulating Cpl. Gray on his congressional honor. The corporal told those at the council presentation that in 1941, he had to wait until 15 more recruits arrived in North Carolina to form a platoon and get Marine uniforms, according to the Bucks County Courier Times. Cpl. Gray and his fellow Marines were ordered to dig holes in which they were to sleep the night of the assignment. At the time, he didn’t understand why. After the war, Cpl. Gray moved to New Rochelle, N.Y, and then to New Jersey. He married in 1953 and had two children. Cpl. Gray earned a bachelor’s degree in social science in 1949 from North Carolina Agricultural and Technical State University in Greensboro. He taught for 35 years, first in Edenton High School in North Carolina and later at Harry S Truman High School in Levittown. At Truman, he taught social studies, science, and driver’s education before retiring in 1989. In retirement, he tutored homebound pupils, grew tomatoes in his backyard, and ran a family reunion. “He has never missed a reunion since 1975,” said niece Lillie Howard. In addition to his wife, Joan, he is survived by daughter Deniece Elizabeth Gray and son, Gary Norris Gray. Funeral services will be from 11 a.m. to 1 p.m. Thursday, April 18, at Bethlehem A.M.E. Church, 213 E. Pearl St., Burlington. Burial is in Brig. Gen. William C. Doyle Memorial Cemetery, Wrightstown.